The reports and data provided below are the national reports and datasets for Australia. For the access to the full international databases, please visit the IEA TIMSS & PIRLS website. An online data analysis system of the results obtained in earlier TIMSS & PIRLS cycles is also available through the IEA’s data visualiser. Sue Thomson, Nicole Wernert, Elizabeth O’Grady, Sima Rodrigues. (2017) Camberwell: ACER. Sue Thomson, Nicole Wernert, Elizabeth O’Grady and Sima Rodrigues. (2016) Camberwell: ACER. Please note: The data files are for use with SPSS and SAS software only. Sue Thomson, Kylie Hillman, Nicole Wernert, Marina Schmid, Sarah Buckley and Ann Munene (2012) Melbourne: ACER. Sue Thomson, Kylie Hillman and Nicole Wernert (2012) Melbourne: ACER. Please note: The data files are for use with SPSS software only. Sue Thomson and Sarah Buckley (2009) Melbourne: ACER. Sue Thomson and Nicole Fleming (2004) Melbourne: ACER. Sue Thomson, Pippa McKelvie, Hanna Murnane (2006) Melbourne: ACER. Print copies are not available for sale. Sue Thomson (2006) Melbourne: ACER. Highlights from TIMSS from Australia's perspective: Highlights from the full Australian reports from the Trends in International Mathematics and Science Study 2002/03. Sue Thomson and Nicole Fleming. Melbourne: ACER. Jan Lokan, Hilary Hollingsworth and Mark Hackling (2006) Camberwell: ACER. Jan Lokan, Hilary Hollingsworth and Barry McCrae (2005) Melbourne: ACER. Susan Zammit, Alla Routitsky and Lisa Greenwood (2002) , Melbourne: ACER. Jan Lokan and Lisa Greenwood (2001)Melbourne: ACER. Jan Lokan and Lisa Greenwood (1997) Melbourne, ACER. Jan Lokan, Phoebe Ford and Lisa Greenwood (1996) Melbourne, ACER. 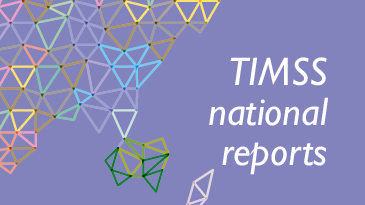 International reports from TIMSS can be downloaded from the IEA TIMSS website.